I have collection of old materials about computers. Some of them are hard to find on the Internet, so I decided, to publish them here. I don't know how long it took me to copy this disassembly back in 1987, when I borrowed the original printed on endless paper, but I used one and half school A4 exercise book. But it took me several months to convert it to html. So, here is the result: Komentovaný výpis ROM monitoru PMD 85-1. Here is the disassembly of the cia.resource from Kickstart 1.2 ROM of Amiga. 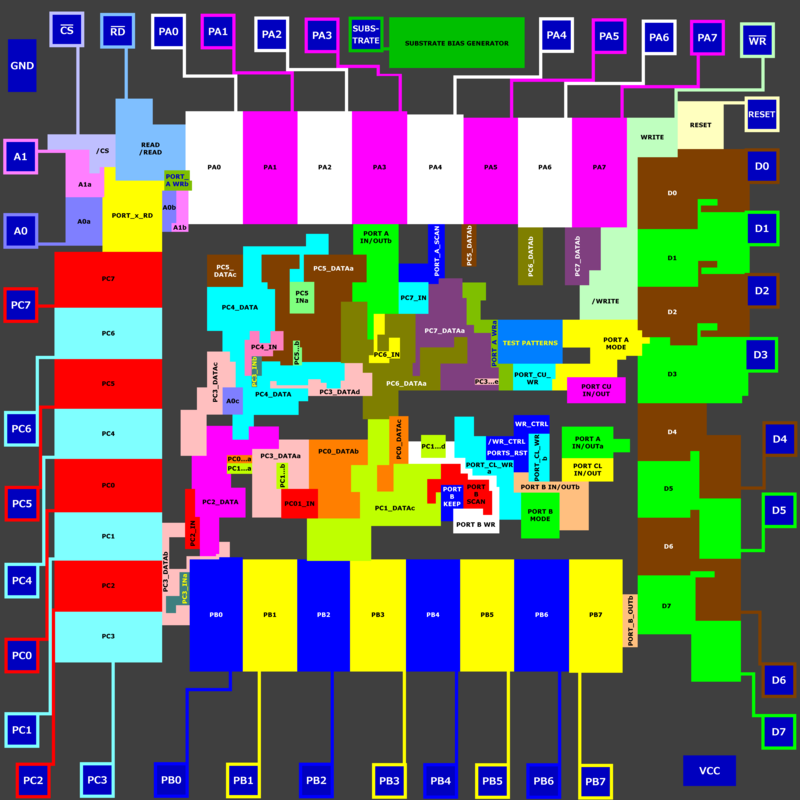 Idea, structure, layout was inspired by AmigaOS 1.2 Exec disassembly by Markus Wandel see notice at the top of the disassembly here: cia.resource disassembly, misc.resource disassembly, disk.resource disassembly and keymap.resource disassembly. It is not that complicated to find detailed info about Intel 4004, but it is very hard to find anything detailed about Intel 4040, its architecture, registers, instruction set, pins, etc. I've got a copy of Intel MCS-40 User's Manual, so I put something here. Note, that it is still under construction: Intel 4040 CPU. Here are 4040 opcodes. - For reference here are: 4004 opcodes. I've got an old and working Acorn Electron. I wrote some programs to discover its hardware details. I discovered, that some of the info about its hardware over the Internet is wrong. So I put my findings here. Note, that it is under construction: Acorn Electron Hardware. MOS Technology 6502 is known well enough. You can find manuals on every corner. Here it is just for the sake of completness, as it is main CPU of Acorn Electron. I put the info for my own reference too. So, let's start from opcodes. Note, that it is under construction: 6502 opcodes. Improved version of 6502 from Amiga A2232 serial port card and as well part of Commodore 65 CPU. Opcodes taken from preliminary manual and corrected by reverse engineering of the chip photograph: 65CE02 opcodes. Drawings of the layers of the revision 2 of the chip are here: 65CE02 layers. Original microscopic pictures are here: http://siliconpr0n.org/archive/doku.php?id=mcmaster:cbm:65ce02-r2. In the layers - pads are darker blue, metal2 is blue, metal1 is green, polysilicon is red, p-diffusion is pink, n-diffusion is light blue, n-well is grey, vias from metal2 to metal1 are yellow or dark blue if grounded or red if powered, vias from metal1 to polysilicon or diffusion are white or light blue if grounded or pink if powered. Areas in layers images are here: 65CE02 areas. Content of the internal ROM (PLA) and explanation of each signal is here: 65CE02 PLA. Descriptions of this CPU are very common too, but it's here from the same reason as 6502 - it was the CPU of PMD 85, hardware of which I describe here one day. So, opcodes, mnemonics, lenghts, cycles, flags affected are here: 8080 opcodes (16 columns) and 8080 opcodes (8 columns). Descriptions of this CPU are very common too, but it's here from the same reason as 6502 - its variant 8088 was the CPU of IBM PC XT, hardware of which I describe here one day. So, opcodes, mnemonics, lenghts, cycles, flags affected are here: 8086 opcodes - note, that MOD/RM byte is there so far. Opcodes, mnemonics, lenghts, cycles, flags affected are here: 8088 opcodes - note, it is not fully ready, should be ready in one month or so. 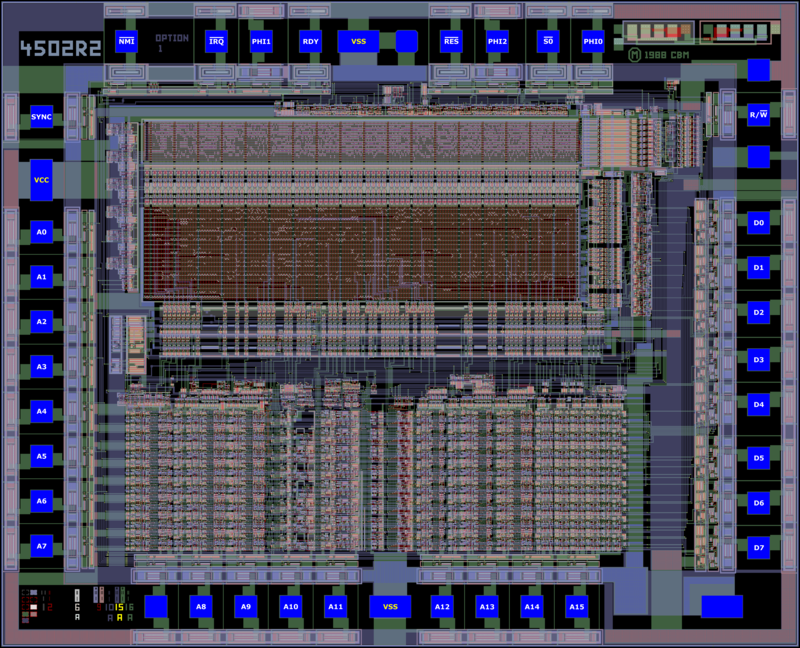 Drawing of the layers of the NMOS version 8255 is here: 8255 layers. Drawing is based on the pictures published by Beregnyei Balázs. I think it's not online anymore. The picture was probably taken with an old microscope, metal layer was not visible well and the photograph was not stitched properly. Anyways it was the only good enough photograph of 8255 on the Internet so I used it. That's why some of the originaly straight lines are staircase shaped. See GND metal line at the very top. Although the the lines are sometimes distorted the connections should be OK as the behavior of the chip could be simulated from this picture. Areas in layers images are here: 8255 areas. 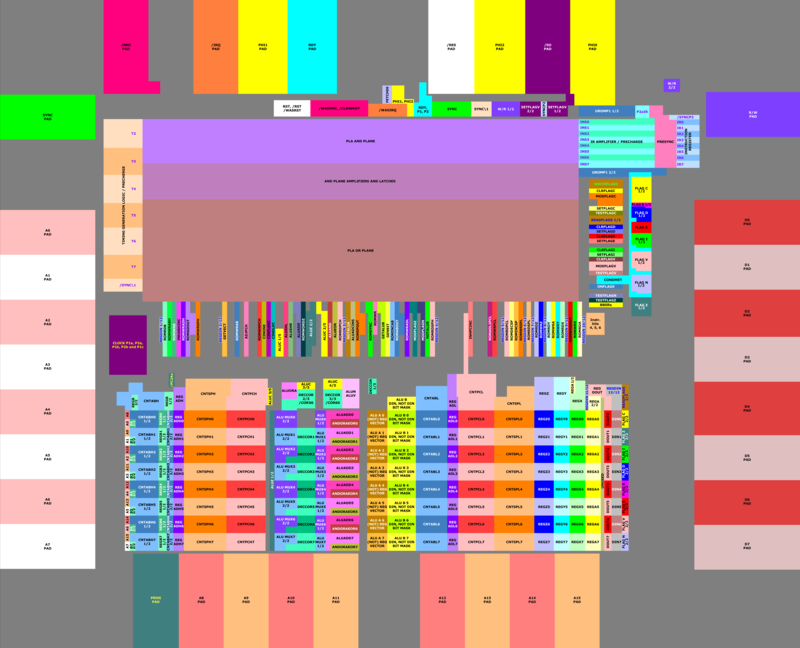 I have drawn the layers of the AMD 9085 CPU based on photographs published in visual6502 project. As I believe the internal structure of AMD 9085 is the same as Intel 8085, i.e. it is 100% clone. Here is the picture of the combined AMD 9085 layers I have made. The content of its instruction decode ROM is here. The content of its instruction timing ROM is here. The content of its instruction groups ROM is here. The content of its register timing ROM is here. The content of its register control ROM is here. Points of interest (i.e. registers' coordinations) are here. Partial schematics of the chip is here. Test of inline assembly demonstrated on EEPROM functions is here.